3Sixty (formerly known as DFASS) has been awarded a 10-year contract for the duty free concession at the International Cruise Terminal in Costa Maya (Mahahual), Mexico. The new contract with the ITM Group covers a 3,400 square foot full walk-through retail store located directly in front of the cruise pier, which should be operational in the first quarter of 2019. The new store will cater to more than 1.5 million passengers annual-ly from cruise lines including Carnival, Royal Caribbean, MSC, Disney and Norwegian. Additionally, with the continued expansion of cruise traffic in Mexico (+10% vs LY) and a +43% pax increase in Costa Maya, ITM is finalizing a dock extension, which will create the highest capacity terminal in the Mexican Caribbean. When the extension is completed, 3Sixty expects to serve more than 2.0 million passengers a year. The new store will feature local design elements as well as international brands. To accommodate the passenger profile, local liquors, fragrances, confectionery as well as exclusive products throughout the Caribbean will be feature prominently, along with a full range of duty free/travel retail core brands such as tobacco, beauty and fashion accessories. 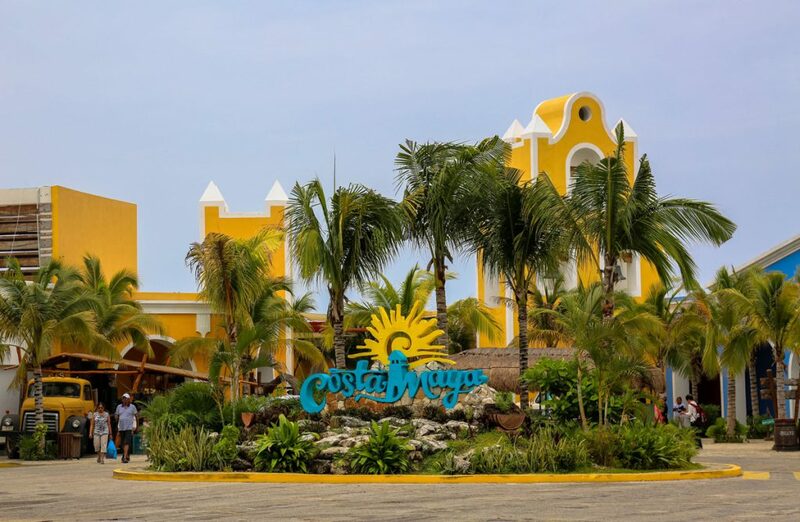 3Sixty Executive Vice Chairman Roberto Graziani comments, “We are very pleased about the new Costa Maya retail opportunity, and we are looking forward to this great new partnership with ITM. 3Sixty and ITM Group have also committed to partner in other destinations/countries and will be rolling out additional duty free/ travel retail stores in the years to come. 3Sixty operates duty free/duty paid concessions in several high-profile international airport locations, including Chicago O’Hare, Newark, Orlando, Fort Lauderdale, Charlotte Douglas, Denver, Dallas/Fort Worth, Ottawa and Philadelphia. Known as the world’s largest inflight retailer, 3Sixty operates on-board concessions for airlines such as Singapore Airlines, Air Canada, Virgin Atlantic Airways, and Avianca, among others. 3Sixty also operates retail stores at cruise ports in Singapore, Cozumel and Progresso in Mexico, and Harvest Caye in Belize.